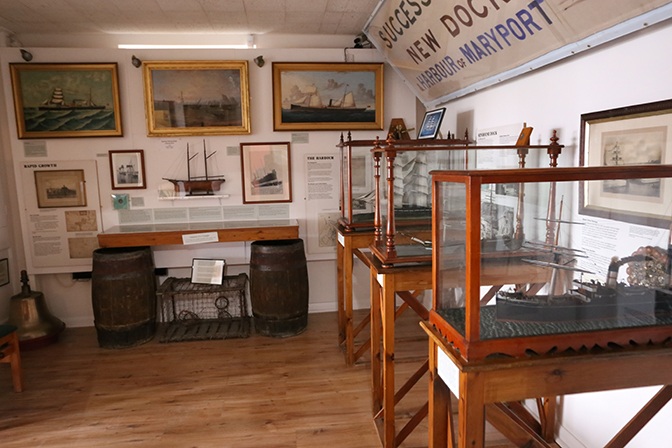 The Main gallery on the ground floor is dedicated to a 'Time Line' recording Maryport's development from a small settlement called Ellenfoot to it's founding as a new harbour and town in the mid eighteenth century. 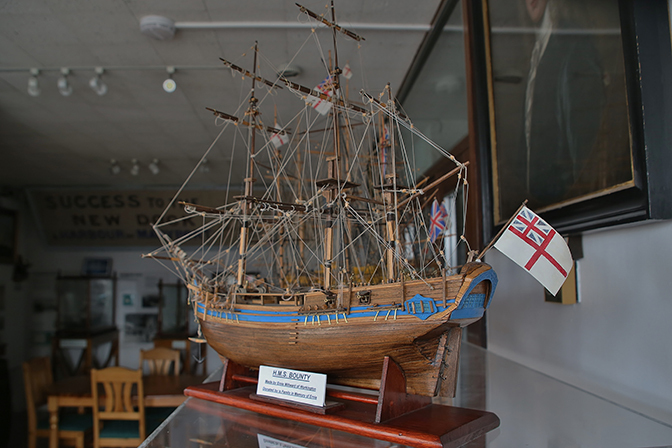 Objects on display record the growth of the town through the nineteenth century to its decline in the early twentieth century. The Virtual Tour was installed to make the first floor gallery accessible to those who can not use the stairs. The roaming program displays the four galleries on a large touch screen, and provides information through many red information points. The small library includes many local resources, many of which are now out of print. 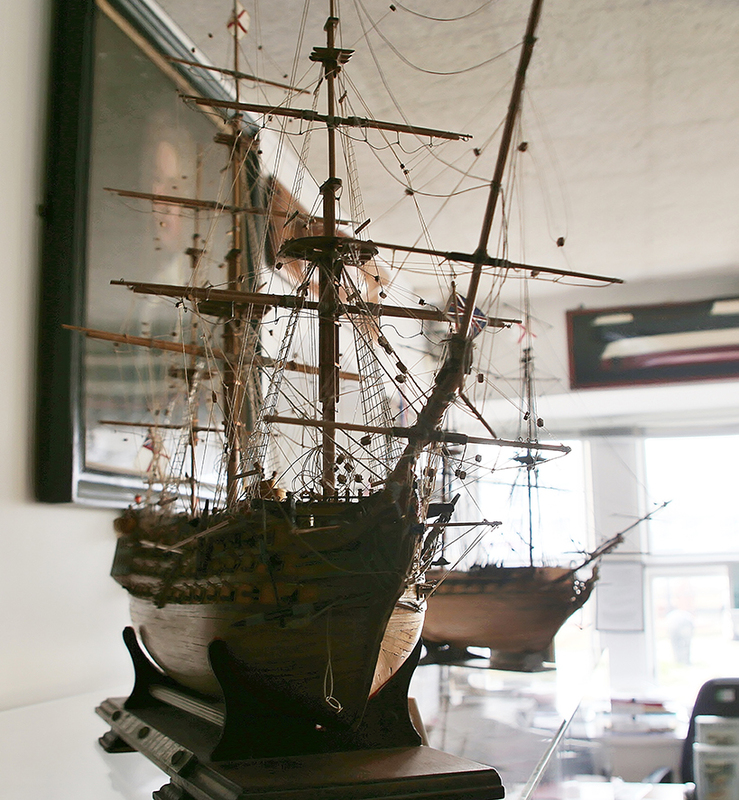 There is information on local links for research, together with information on Maryport shipping, shipbuilding yards, ships, captains and crew compiled by our local historian. 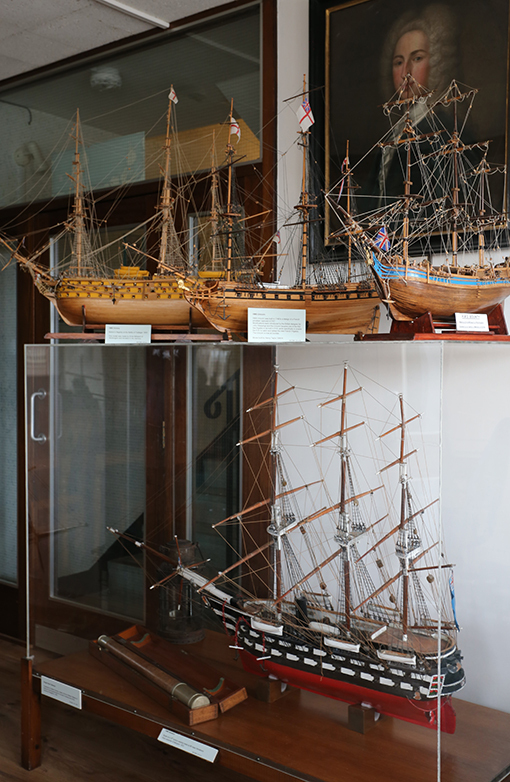 There is a collection of publications relating to Maryport and the surrounding area, together with general reference books of general maritime history, including a selection of copies of Lloyd’s Shipping Register. 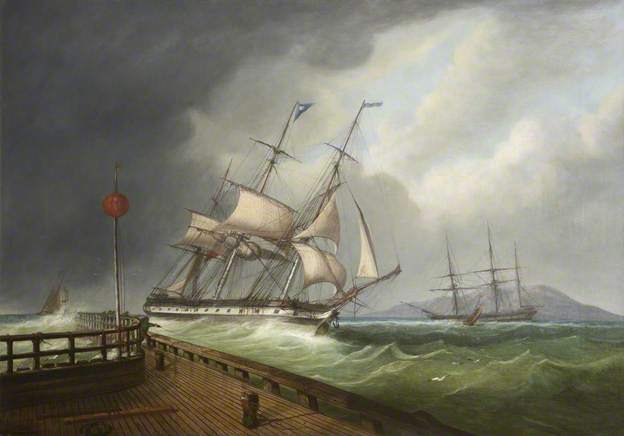 Born in Donaghadee Co Down, William Mitchell became a recognised maritime artist. He immigrated to Maryport work on the Maryport – Carlisle Railway as a carriage and train painter. Around 1863 he resigned from the engine works at Grasslot to become a full time artist. He remained in Maryport working as an artist until his death in 1900. The William Mitchell Room includes two paintings by Mitchell's eldest son James, who did not achieve the same recognition as his father.